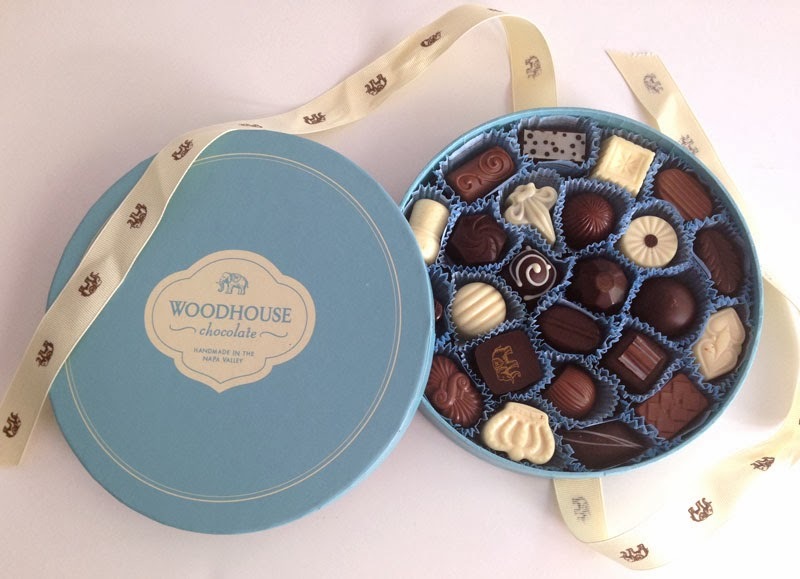 My friend and I received an AMAZING box of chocolates from Woodhouse Chocolates in Napa Valley yesterday. 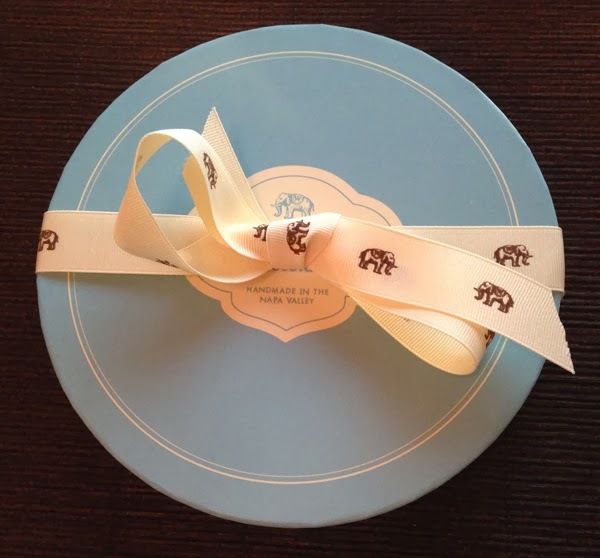 The packaging is so wonderful and upon opening the box, we were greeted by the most beautiful chocolates I have ever seen. Pure artistry! Our first taste was the Cinnamon Toast (white chocolate ganache spiced with cinnamon and wrapped in dark chocolate). It was hands-down the best chocolate I've ever tasted! The experience was similar to drinking a great glass of wine ... the chocolate had a wonderful nose, was amazing on the palate, and the finish was heavenly and lingered for a long while. They offer many really creative flavor combinations ... visit their chocolate index to see more. 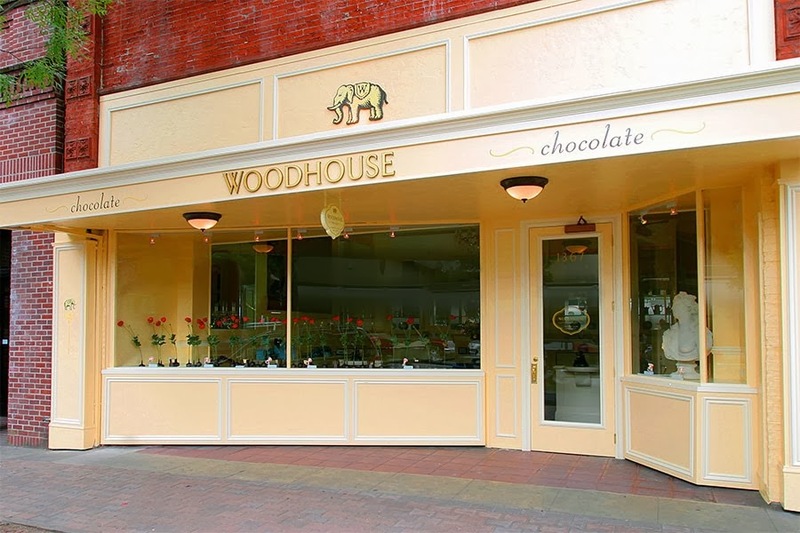 A trip to the Woodhouse Chocolate store in St. Helena is now on my wish list. Meanwhile, it's a safe bet that I'll be ordering on-line soon, especially for gifts! Their seasonal offerings are so creative and I'll be buying the Robin's Eggs for Easter (spoiler alert Mom). They collaborated with Chef Holly Peterson of Flourish to create these special eggs and a portion of the proceeds will go to fund food research for cancer. Sending a BIG THANK YOU to Frank for this wonderful gift! Dog Lovin' - My Dog Ate Chocolate!